Love your layouts -- especially the second one. Good for you trying new things and stretching -- I hate doing it, but it always feels so good afterwards LOL. I was really intrigued by the Art & Science class -- good to know you recommend it. Your LO turned out gorgeous ! I'm so happy for you that you used things you normally wouldn't like right off the bat. Way to go, I can't wait to see more LOs with you kit! Great layout - love the misting/paint - thanks for playing at Let's Get Sketchy! Devra, both of these layouts are awesome! I love the grid design in the first one, and the photos are stunning! I love what you did with the LGS sketch. Those products are gorgeous. I was part of a kit club for awhile, and I have to say, I used products that I would normally not buy, but it was kind of fun and I ended up really liking the products after I put something together. I sure wish I had taken those BPS classes. Anyhoo, thanks so very much for sharing with us and joining with us at Let's Get Sketchy! Lovely layout Devra and great design to showcase the different varieties of tulips! Also great way to add the twine to your layout! Thank you so much for participating in our Tic Tac Toe Challenge at Scrap Our Stash! Great layouts, both of them! Thank you so much for playing along at LGS and SOS! lovin the chill page and such fun paint!!! sooo glad you played along with LGS!!!! Beautiful layouts! I love the paint on the second one! Nice work, Devra! Your right---seeing the tulip layout I would not have thought it was yours! Turned out beautifully though! Good for you for stepping out of your comfort zone! And thanks for taking the tic-tac-toe challenge at SOS!! That is so beauitful Debra! Thanks for playing along with us at Scrap Our Stash! Love the colors and patterns! Awesome work with the sketch! Thanks so much for joining us at Let's Get Sketchy! Love both layouts, especially the flower one! The design is fabulous! Thanks for playing along with us at SOS! wow beautiful pages! Thanks for joining us at Lets Get Sketchy! I love your beautiful layouts Devra! Thanks for joining us at LGS! Beautiful page. Your classes really paid off! Thanks for playing along with us at LGS! Beautiful pages! great take on stash challenge! Thank you for playing with us at scrap our Stash! Great use of stash! 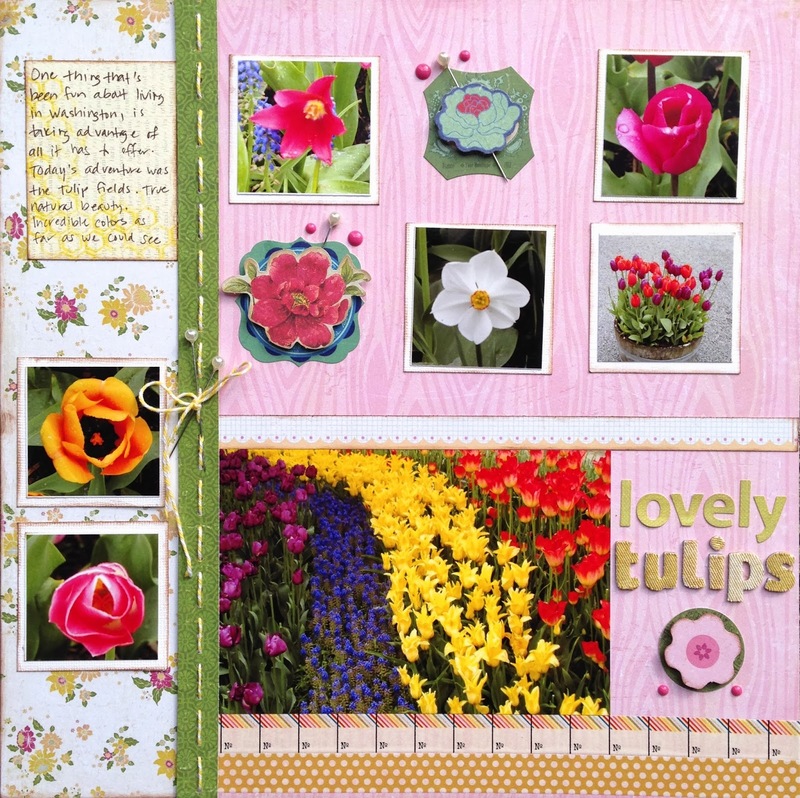 And gorgeous pics to scrap! Thanks for playing at Scrap Our Stash! Love them both Devra! They are awesome!! !